Introduction : By default, the cloud server comes with a user named ubuntu. You can use such primary user account for sysadmin tasks on Ubuntu. However, sometimes you need to add a user account on Ubuntu for additional sysadmin tasks. 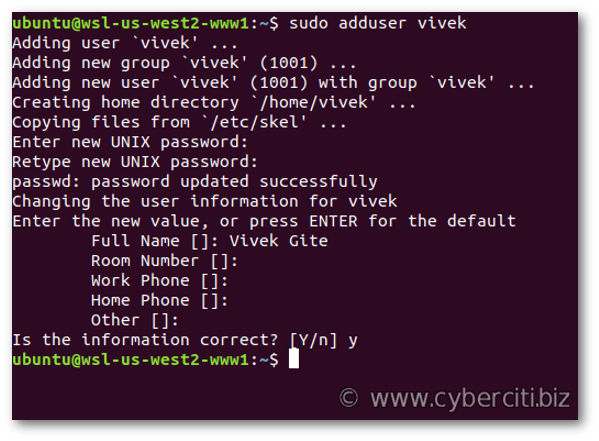 This page shows how to create a regular user account or sysadmin account on the Ubuntu server. $ sudo -- sh -c "echo 'ssh-ed25519 AAAAC3NzaC1lZDI1NTE5AAAAILaLvLmaW9qIbUVo1aDHWZE9JewbNfIdTVif2aFGF0E0 vivek@nixcraft' > /home/vivek/.ssh/authorized_keys"
This was useful. 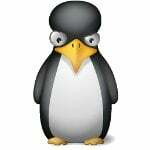 I created EC2 VM. It came preinstalled with ubuntu user and ssh key from AWS portal. I added jky user and key as shown here. I use jky single user for admin tasks. Can i delete ubuntu user? 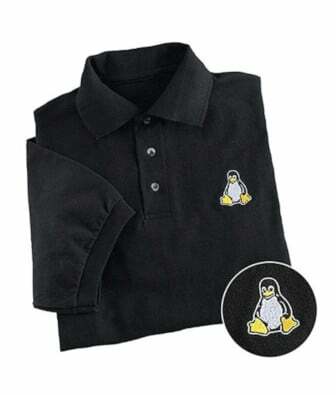 Linux – What defines a user account?